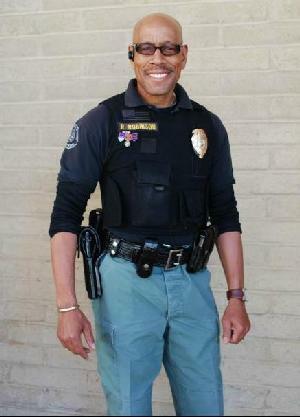 *As a law enforcement professional, you would not expect that Officer Robinson is an accomplished actor who has performed in over forty-two feature films. Deputy Probation Officer Robby Robinson is a master of all trades. But then, with his career working for the Los Angeles Probation Department Special Enforcement Operations, he has to be. Some days when he gets ready for work, his attire includes a bullet-proof vest and a sidearm. Other days, his encyclopedic knowledge of gang culture and his commitment to the community that he serves is all he needs. The Special Enforcement Operations unit, whose mandate is to reduce gang violence and to protect our diverse and far-flung community, requires its serving officers to be skilled at nearly everything. Robinson may be called upon to be anything from a peace officer, to a counselor or a surrogate parent. As a noted expert, he has even testified before the Senate Sub-Committee on gang violence. On a ride-along with Officer Robinson, he is cheerfully greeted by members of the community; as he steps away, LAPD officers begin to tell animated stories of how he helped them with various cases. Probation officers like Robinson are the overlooked champions in the network of law enforcement professionals, protecting Los Angeles County. Often, they are the vital link persuading a juvenile or adult offender to become a positive, functioning community member. As Probation Chief Donald Blevins points out, “A probation officer has an incredible opportunity to change the life of the offender he or she is responsible for monitoring by working with the juvenile or adult in his community, as a part of the community.” Probation officers closely monitor a probationer’s compliance with the terms and conditions of their release. Probation Officers wear so many hats they are often misunderstood professionals. The Probation Department places its officers at the nucleus of a rehabilitative model that reaches out to community based organizations. Within the department, its programs give probationers the opportunity to mend their ways. These community-building programs include the Amer-I-Can Program, the Literacy Project, Operation Read, the Honors Drama Ensemble, and Gangs for Peace, Bridge to Employment, Young Men as Fathers, Flowers Are Not Enough (this program deals with domestic violence and relationship building) and others. The Family Resource Center targets the parents of the youth detained in probation facilities. The emphasis of the program is on developing a support network for the family, in which the family is empowered to handle difficulties with a youngster, and that minor is empowered to cope with family, peers, school, and other environmental circumstances. Probation aftercare programs are initiated approximately 90 days before, in preparation for a detainee’s release. 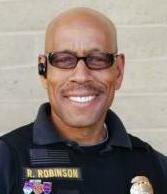 Despite the vast training and experience of Deputy Probation Officers like Robinson, who has served Los Angeles and the San Fernando Valley area for over 30 years, and presently partners with the LAPD Southwest Division, Governor Brown’s new Realignment Proposal, to add parolees to probation officers’ workloads, has the Counties more than concerned. The proposal would make Counties responsible for parolees, felons released from prison, as well as probationers, misdemeanor and felony offenders who typically haven’t been incarcerated. The numbers agree with Miller and Johnson. During 2010, through vigorous action, the Probation Officers seized over 6,767 weapons and more than $205 million in illegal drugs and drug money, resulting in 13, 462 arrests. Today, the number of probationers found to be out of compliance with the terms of their release into our vulnerable communities has dropped to ten percent. These numbers were reached by partnering in multi-agency efforts that were led by Deputy Probation Officers and included Officers from the United States Immigration, Customs Enforcement, United States Secret Service, California Department of Corrections, Rehabilitation, Department, Los Angeles County Department of Children and Family Services, and Los Angeles County Sheriff Department’s Community Oriented Policing Services. 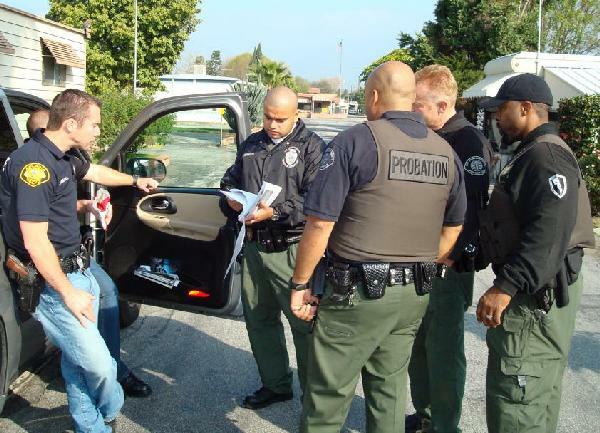 Because of the resourcefulness of Probation Officers, they are often seen as the “Beating Heart” of law enforcement agencies, as almost every County division goes to them or works with them in a myriad of ways.